In a previous post (How Data Analysis Can Help Us Predict This Year's Champions League), I shared how I used Minitab Statistical Software to predict the 2013-2014 season of the UEFA Champions league. This involved the regression analysis of main critical-to-quality (CTQ) factors, which I identified using the “voice of the customer” suggestions of some friends. Since that post was published, my friends have stopped discussing the UEFA Champions league—they were convinced by the results I shared. 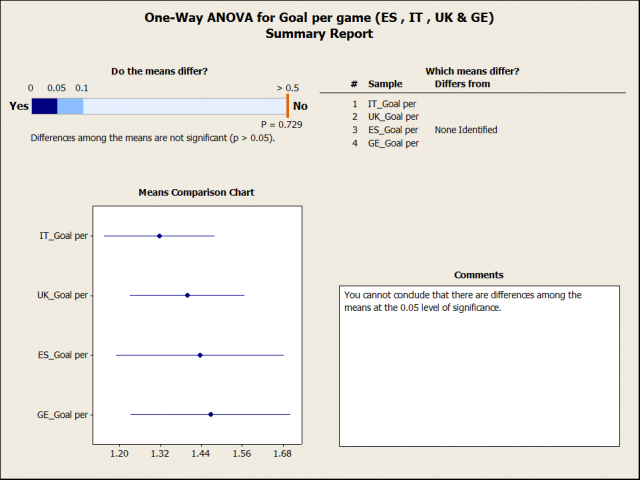 But now they’ve challenged me to use Six Sigma tools to quantify which European football league is best. In other words, which league gives its fans the best value (average per game) in terms of the CTQ factors that make games fun to watch? This analysis will be based on the same CTQ factors used in my previous post. I debriefed my friends (in a bar, while watching a football match, of course) after publishing that post, and they agreed that these CTQ really match their expectations about what should and should not happen in a match. However, I did add one new CTQ factor in this study, “Average Number of Yellow and Red Cards,” since these data were available in a new database. More goals per game to make game more fun! Offensive strategy, with more attempts to score goals. More effective use of game time. 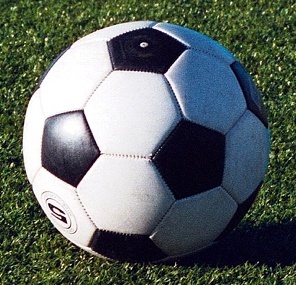 More “fair play” and protection for players with high football skills. The hardest part of this study was finding a reliable and complete database. For this, my friends at www.whoscored.com proved best. In this database, I could find all variables associates with the previous defined CTQ. I apologize to my Portuguese and French friends, but as I noted in my previous post, only the most predominant countries and leagues (Italy, England, Germany, and Spain) in the last 12 UEFA Championship League seasons are considered in this scenario. Based on the CTQ factors, I performed an analysis of each league, looking at each team’s individual average values for each CTQ. This lets me compare not only the overall league average, but also the league’s teams’ average. To perform this analysis, I used the statistical tool called Analysis of Variance (ANOVA). ANOVA tests the hypothesis that the means of two or more populations are equal. ANOVA evaluates the importance of one or more factors by comparing the response variable means at the different factor levels. The null hypothesis states that all population means (factor level means) are equal while the alternative hypothesis states that at least one is different. 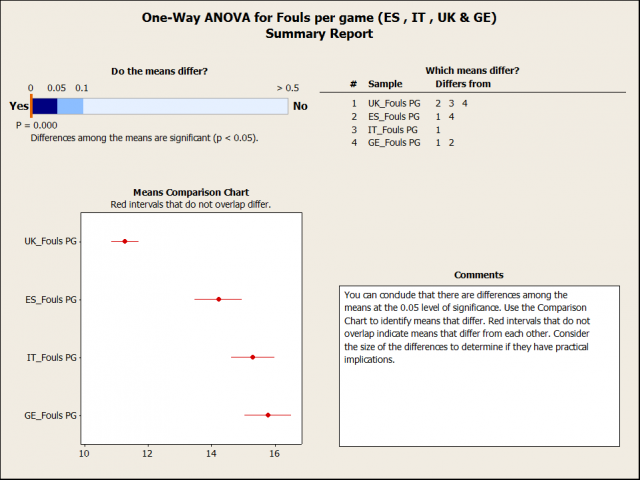 For this analysis I used the Assistant to perform One-Way ANOVA analysis. 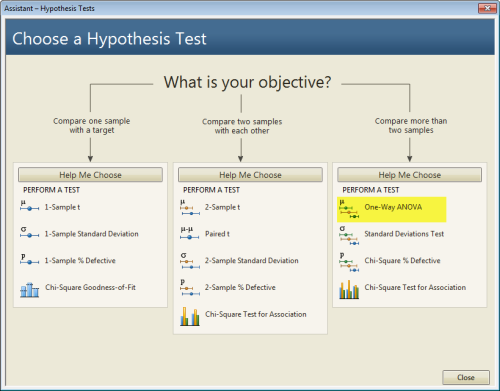 Assistant > Hypothesis test > One-Way ANOVA. Based on the One-Way ANOVA analysis, I’m able to identify and position the leagues based on last season’s average values of CTQ variables per match. As the Assistant's output makes clear, the One Way ANOVA hypothesis test p-value (0.001) is less than the threshold ( < 0.05), which indicates that there is a difference among the means. The table to the right of the p-value calculation show us which means differ from others, and the means comparison chart gives the graphical view of the statistical analysis. Conclusion: The U.K. football league has the lowest average of cards (Yellow & Red) per game. The p-value (0.001) is less than the threshold (< 0.05), telling us that there is a difference in means. In this case, based on the comparison chart, it’s evident that the U.K. league has the lowest average number of fault per game so far. Among the remaining three leagues, there’s not a statistically significant difference between the Spanish and Italian leagues, nor between the Italian and German. In this situation, I’ve decided to give to the Spanish league a different score than German and Italian. The p-value (0.729) is greater than the threshold (< 0.05), indicating there is no significant difference in the means. Conclusion: No matter which league you watch, the number of goals per match will be, on average, the same. 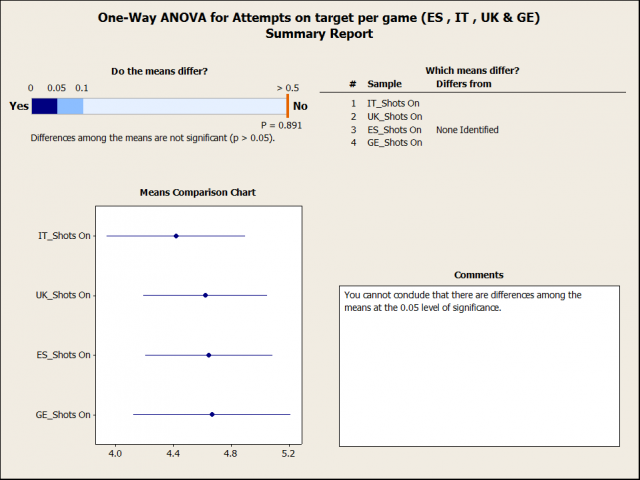 Again, the test p-value result (0,891) is greater than the threshold ( < 0.05), telling us that there is no statistically significant difference in the average attempts on target per game. 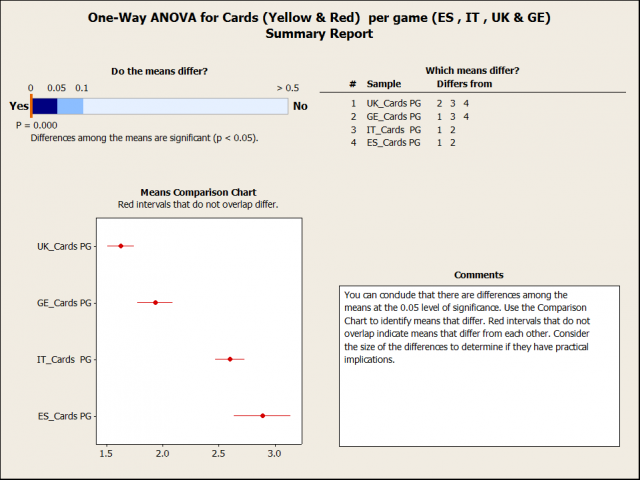 Conclusion: All four leagues will will receive the same score for this variable. Based on the results shown above, we can conclude the following. Normality is not an issue. Except for the German league (18), all data have a sample size of 20 teams by league, and are normally distributed. There is no difference among the leagues in terms of average attempts on target per game, nor average goals per match. 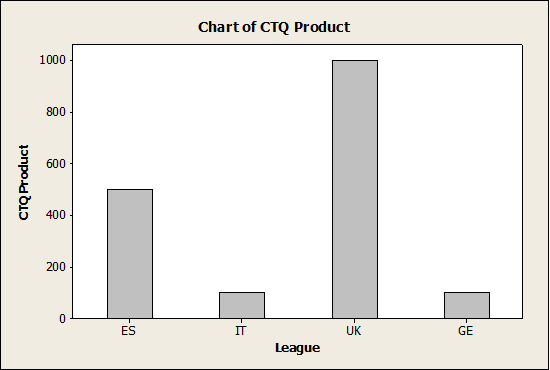 Under the premise that the best European football league should have the best performance regarding the variables related to the selected CTQ, England’s football league comes out on top. If a good league is one that answers the “customer” expectations (CTQ), the exercise performed in this post shows that England’s supporters (from all teams in premier league) should be the most satisfied supporters in Europe. Unfortunately, this analysis is only based on the last season’s data, and thus it may only represent one static season and not a trend. But at minimum this analysis indicates that there are significant difference among the leagues, especially in the “fair play” CTQ factor. Laerte de Araujo Lima is a Supplier Development Manager for Airbus (France). He has previously worked as product quality engineer for Ford (Brazil), a Project Manager in MGI Coutier (Spain), and Quality Manager in IKF-Imerys (Spain). He earned a bachelor's degree in mechanical engineering from the University of Campina Grande (Brazil) and a master's degree in energy and sustainability from the Vigo University (Spain). He has 10 years of experience in applying Lean Six Sigma to product and process development/improvement. To get in touch with Laerte, please follow him on Twitter @laertelima or on LinkedIn. When is Easter . . . for the next 2,080 years?